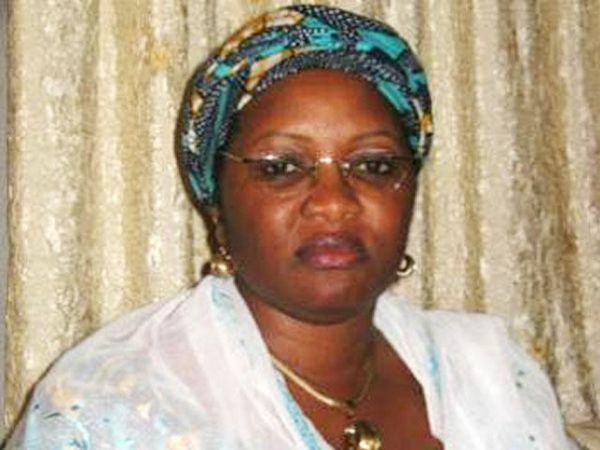 Former Finance Minister, Mrs Esther Nenadi Usman, was yesterday, taken into custody by operatives of the Economic and Financial Crimes Commission, EFCC, for allegedly receiving N2.5 billion of the N4 billion taken out of the Central Bank of Nigeria, CBN, on the orders of the former National Security Adviser, Sambo Dasuki, in the heat of the 2015 election. Usman was the Director of Finance of the Peoples Democratic Party Presidential Campaign and was said to have access to huge cash, some of which the EFCC said came from the CBN. Also arrested by the EFCC was former Permanent Secretary in the Ministry of Labour, Mr. Clement Iloh, for obtaining a questionable N316 million from public account. The two former top public officers were being quizzed over what an EFCC top source described as serial acts of corruption by EFCC operatives last night. According to findings, the former minister is being quizzed over various sums of money which were paid into her account during her tenure as senator. She was said to have received N2.5 billion of the over N4 billion which was transferred out of CBN into various individuals and company’s accounts. Illoh, on his part, was arrested by the EFCC after N316 million was traced to his Zenith Bank account. •Photo shows ex-Finance Minister Esther Nenadi Usman.